If you’re concerned that your school is simply not safe enough, see how many of these signs of an unsafe school ring true when applied to your campus. Once you're done reading this one, check out our article on ways to immediately improve your school’s safety! Lack of basic and advanced security procedures on and around campus: If visitors to campus are allowed to wander around unaccosted and unnoticed, the school is simply not safe. Lack of sign in procedures: No use of an identification verification system, or not taking the ID from the visitor and returning it upon completion of the visit: Again, it is imperative that we are aware of everyone on campus at all times. There are a variety of reasons for that, but one that people often don’t think about is in the case of a natural disaster like an earthquake. Without knowledge of who is on campus, we will be unable to take attendance or send appropriate help in an emergency. Gates and doors that are left unsecured: This is an obvious one. Staff and faculty complacency: While complacency is understandable over the course of a long school year, safety is a never-ending awareness challenge. It’s easy to get comfortable in routine, but the truth is that the way we practice is the way we perform. Emergency drills need to be performed seriously by all members of faculty and staff. That means that in an earthquake drill, they should be modeling “duck, cover, and hold” right along with their students. It may seem silly, but once complacency sets in, your school becomes less safe. Unknown visitors are not stopped and questioned by EVERY single staff, faculty member, or other visiting parent on campus: This may seem extreme and might make some members of staff uncomfortable, but this step will make your school immeasurably safer. People must become comfortable in the habit of questioning things that seem a little off or wrong. Lack of actual campus safety officers that are trained appropriately and ready to respond to a myriad of incidents, disasters, and emergencies: Maybe your school doesn’t currently have on-site security. Maybe your school has terrible on-site security. Regardless of which category you fall in, an engaged and well-trained security team is a benefit to your whole community, even beyond safety. However, they will obviously be an excellent resource in any emergency scenario. Staff and faculty are not attending ongoing training in the safety and protection of our students (recognition of threatening behaviors/underlying issues, first aid/CPR training, AED training and certification): This sort of preemptive step is incredibly important. Guided self-improvement keeps all employees connected and focused on the level of safety and preparedness on campus. Lack of enforcement of security procedures, because the parent is “known”: Even if we are confident in who someone is and that they have the right to be on campus, letting our guard down as a safe community with guidelines will weaken our resolve to follow best practices when they are really needed. Good, safe habits should never be broken. Lack of keeping safety policies and procedures updated on a regular basis: Revisit safety policies and procedures to ensure that nothing slips through the cracks. It also keeps security from getting too comfortable and lax. Lack of following the motto: “If you see something, say something”: Simply put, if anyone on your campus feels like something is amiss, they’re probably right. Your best safety resource will always be your faculty, staff, and students. Trust them and make sure they trust themselves. 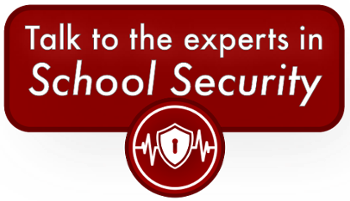 Interested in learning more about how Joffe manages to partner schools with effective, kind, and focused security guards to keep campuses safe? Click the button below to learn more!